Hesston College will usher in the Christmas season with a performing arts program featuring global traditions. The “Peace on Earth” program will be at 7 p.m., Saturday, Dec. 8, at Hesston Mennonite Church on the Hesston College campus. The program is free and open to the public. 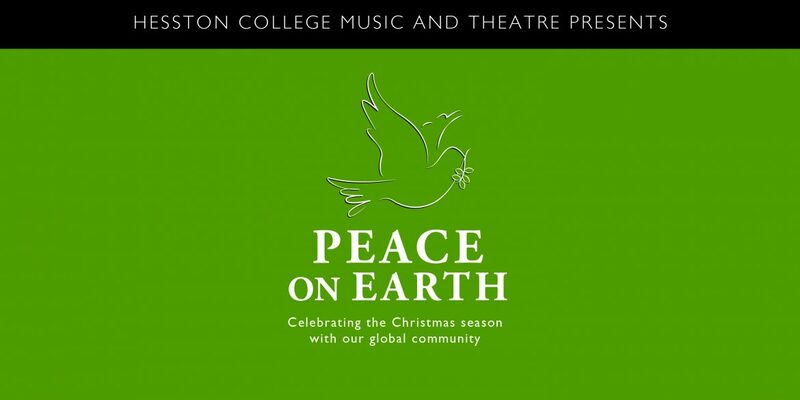 “Peace on Earth is a collaboration between music and theatre students that connects us with our global community,” said Dr. Russell Adrian, Hesston College music professor and choir director. The program will feature carols from diverse cultures by Hesston College choirs and instrumentalists woven together with theatre scenes that connect the story of Jesus’ birth to stories of peace and conflict around the world. Theatre professor Carla Lahey will direct the scenes. Continuing with the theme of global community, a free-will offering will be collected for Mennonite Central Committee hygiene kits. Monetary donations or donations of hygiene kit items are welcome. Following the program, audience members will be invited to help pack the kits.